Moline Electric Motor & Machine Inc.
Moline Electric Motor & Machine Inc. is a family-owned, full service, electro-mechanical repair facility. We provide pump and motor repair throughout the Southeastern United States. 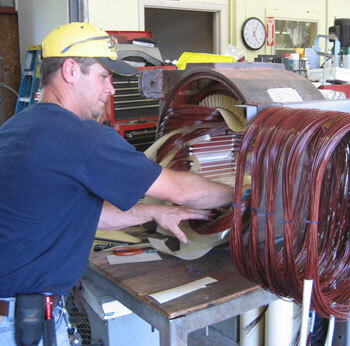 We repair all types of electric motors, pumps and pumping equipment. Our full service repair facility can effectively rewind electric motors from fractional to 250HP+. We also provide sales & support for new motors & pumps. We sell the best quality motors and pumps in the business!